a better than ever service. From the UK's best known suppliers! Controlled drugs cabinets fully compliant with “The Misuse of Drugs (safe custody) regulations 1973” and BS2881:1989 level one. These are the legal regulations and requirements for the storage of a controlled drug in the United Kingdom. All our controlled drugs cabinets are manufactured and dispatched by us from our factory here in the UK. 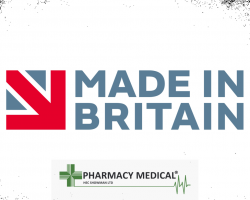 Here at Pharmacy Medical we are proud to say that we have the UK’s largest single manufacturer controlled drugs cabinet and medicine cabinet stock range of that you’ll find. Its as simple as that. We aim to bring you the best quality, with the shortest lead times, at the best prices you’ll find. As the manufacturer of our own products, we put your feedback directly into our designs, ensuring you are buying probably the best products on the market. 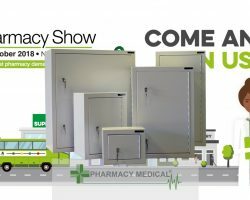 Our controlled drugs cabinets are the first choice for independent pharmacies, pharmacy chains, vets, doctors, dentists and schools as well as NHS and private hospitals. 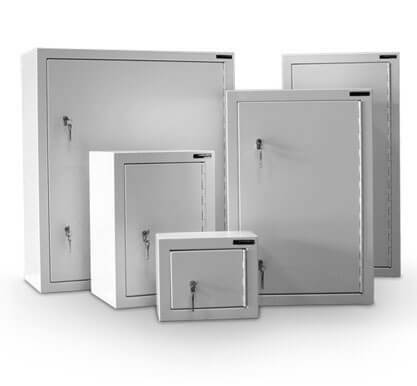 Our comprehensive range, short lead times and excellent pricing have made our drugs cabinets the preferred choice of healthcare professionals. Furthermore, our drugs cabinets are now available through NHS supply chain. 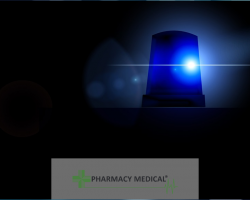 We provide a next day dispatch service on the large range of controlled drugs cabinets we hold in stock. As well as rapid manufacture of any bespoke products. This means you will not be waiting weeks for your drugs cabinets from us. With almost thirty years of manufacturing experience in Cabinet and Medical equipment production we have built up a reputation for quality and service envied by our competitors. 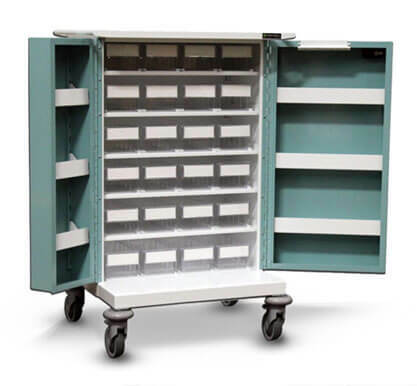 A controlled drugs cabinet from Pharmacy Medical meets all the requirements for the storage of controlled drugs. Our controlled drugs cabinets meet and surpass BS2881:1989 and “The misuse of Drugs (safe custody) regulations 1973”. To complement our extensive stock range of controlled drug cabinets we provide a bespoke service too. 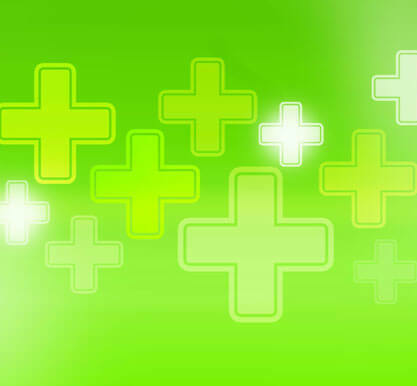 Just give us your specific requirements and we will manufacture a bespoke controlled drugs cabinet to your exact needs. But don’t worry, bespoke cabinets are not expensive with us! Generally, they’re approximately 20-25% more than a similar size stock cabinet from our range. Just let us have your requirements. We will then draw up the cabinet to the misuse of Drugs (safe custody) regulations 1973. Then we will send you the drawing for your approval. Once you’ve checked and approved it we’ll ask for payment prior to the manufacturing process. We ask for a pro-forma payment due to the bespoke nature of the cabinet. When the manufacturing process commences it usually takes two weeks to make a bespoke controlled drugs cabinet for you. We provide a next day dispatch service on all our stock cabinets and a rapid manufacture of our bespoke products so you’ll not be waiting weeks for your purchase here. The controlled drugs cabinets we manufacture are now available to purchase through NHS Shared Business Services. Having been awarded onto a framework agreement with them. This framework means that NHS trusts and other organisations can take advantage of the purchasing system they have in place. 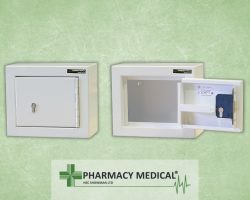 Ultimately making it easier than ever to buy our drugs cabinets and other products. Our range of market leading and exceptional value products are more accessible than ever. The framework agreement number is: SBS/16/SB/TPB/9050. You can find out more information by clicking here. If there’s anything you’d like to discuss please give us a call. We’d be happy to help.